This entry was posted in Newsletter, Other ships, Updates and tagged 413, Battle, Bud Comet, DE, DE 413, Gulf, leyte, museum, newsletter, Roberts, Samar, Samuel, shipmates, survivor on September 7, 2012 by C R.
This 120-page first hand account of the Battle of Leyte Gulf is available in soft cover directly from lulu.com. Cost is only $9.96 plus shipping. The “Spirit of the Sammy B” is Captain Copeland’s thoroughly readable autobiographical account of the DE-413’s short but valiant history. 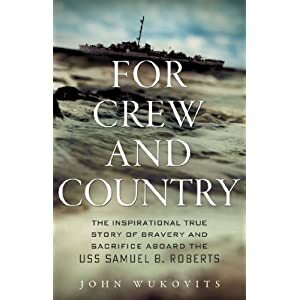 A must read for any one interested in the Samuel B. Roberts or the Battle off Samar. This entry was posted in Books, Interviews, Leyte Gulf History, Updates and tagged Copeland, DE 413, history, leyte, navy, pacific, Sammy B, World War II on May 7, 2011 by C R.